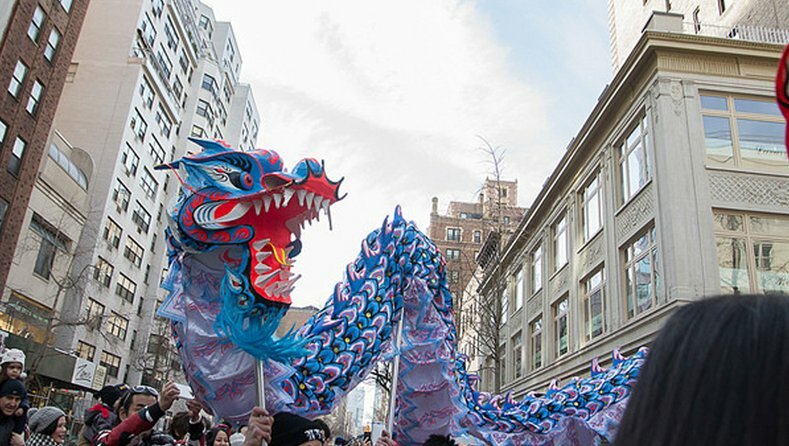 Join the Chinatown Partnership Local Development Corporation (CPLDC), East Midtown Partnership, The Grand Central Partnership, Madison Avenue Business Improvement District, and Confucius Institute for Business at SUNY as we celebrate the Year of the Dog! 11:00 AM–2:00 PM, Enjoy the artistry of our Lion Dancers and Dragon as they make their way south while visiting participating retailers on Madison Avenue including Aaron Basha, ANNE FONTAINE, Barbour, Bistro Chat Noir, Carolina Herrera, Chopard, Christofle, EILEEN FISHER, Frette, Jonathan Adler, kate spade new york, Koio, Links of London, Molton Brown, Montblanc Madison Avenue, Morgenthal Frederics, Moyna, NARS Cosmetics, Roberto Cavalli, Stuart Weitzman, Sundaram Tagore Gallery, Zero Halliburton, Tory Burch, and Vacheron Constantin. We'll have free family and dog-friendly activities throughout the event on 54th Street (at Madison Avenue) including! To honor the Year of Dog, we encourage attendees to bring their dogs, and a portion of the participating retailer's sales will benefit our charitable partner, The Animal Medical Center.